But it's the PORCUPINE Ray. And while it isn't a raygun that fires porcupines at the press of a button, it's still best to be wary of anything that has "porcupine" in its name. 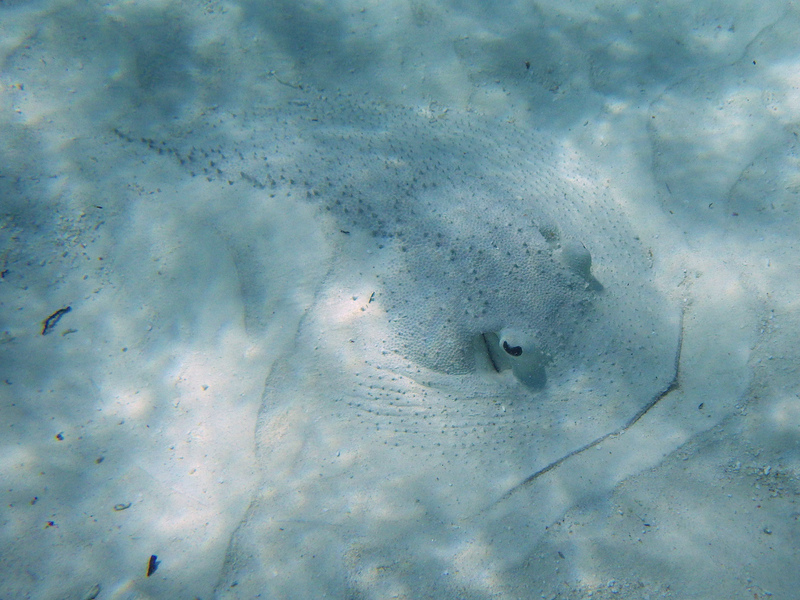 So it is that the Porcupine Ray is covered in armour plating speckled with sharp thorns all over its back and tail. 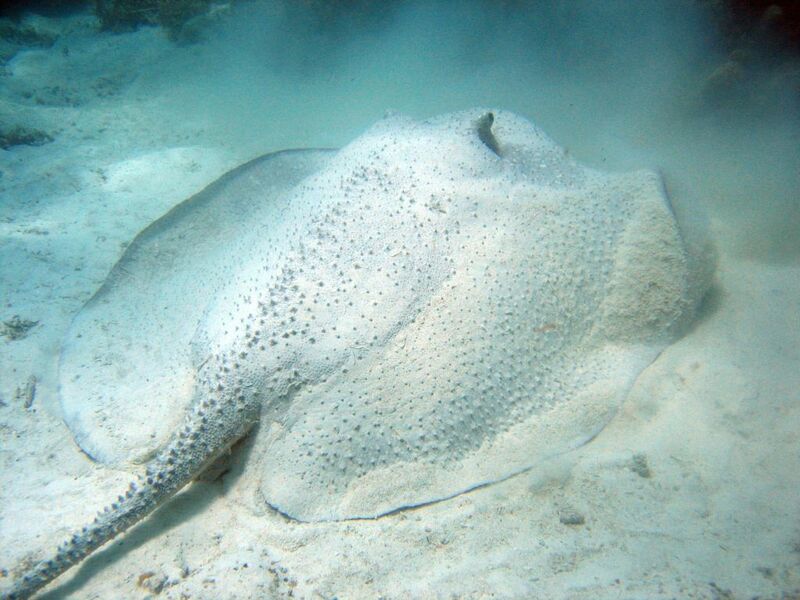 Rays, like sharks and other cartilaginous fish, are the proud owners of tough scales known as denticles. 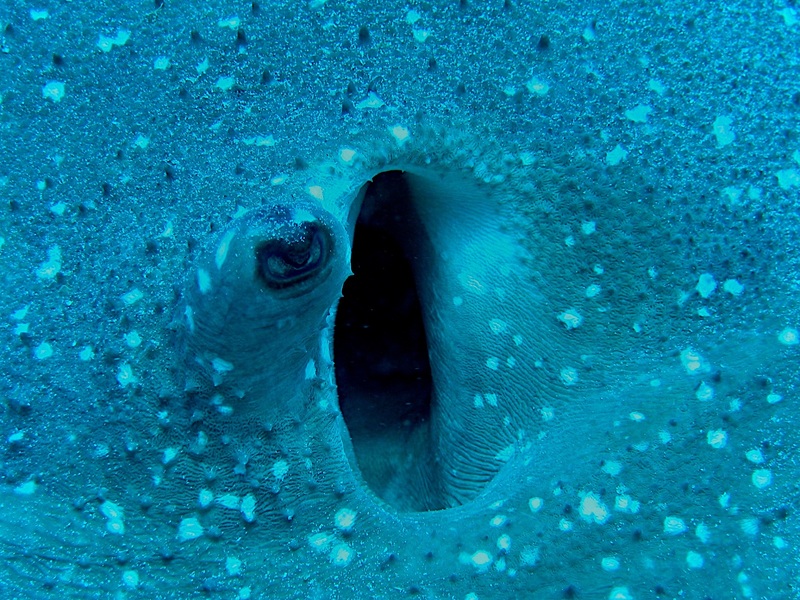 Their skin can be used to make a kind of leather known as shagreen, and the Porcupine Ray's particularly rough texture was often used for sword handles. Or maybe you could just pick one up by the tail and slap a guy across the face with it? They can get over a metre (3.3 ft) across so they'd pack a significant punch! The Porcupine Ray isn't common, but it does have a huge range that clings to all the coastal waters from South Africa to Australia. They spend their time unearthing crustaceans, worms and fish from the sandy sea floor and crushing them between their flattened teeth. To be honest, I'm still waiting for my porcupine raygun. Give me my porcupine raygun and my jetpack and I will become the greatest highwayman the world has ever seen. sword handles - who knew? Cartilaginous fishes in general make excellent flails, don't they? @TexWisGirl: It's odd for sure! @Crunchy: It's the perfect eco-technological solution! @Porakiya Draekojin: Yeah, they could have been venomous all over! @Lear's Fool: They are the perfect shape and have teeth in all the right places! We are awful, awful people! Awful people are the best people!